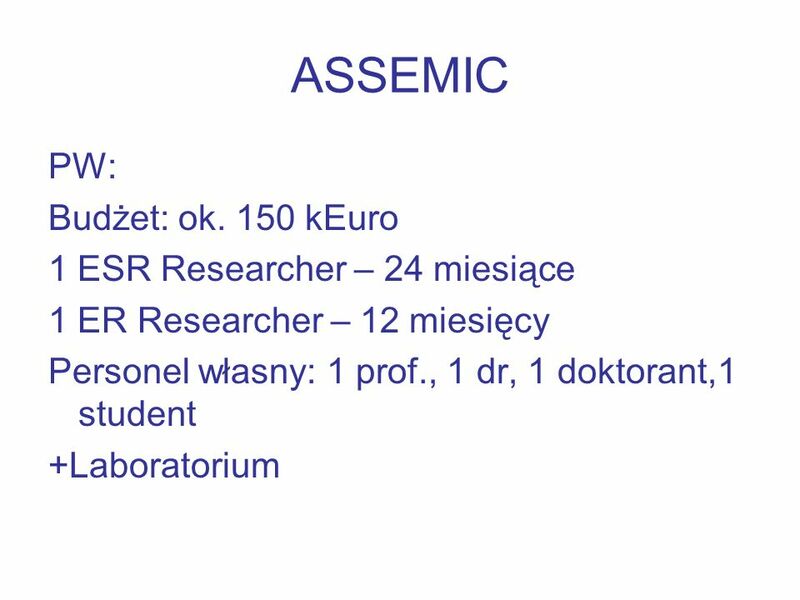 5 ASSEMIC Special focus will be placed in training and dissemination, including workshops, open-door days, summer schools, newsletters and e-learning. 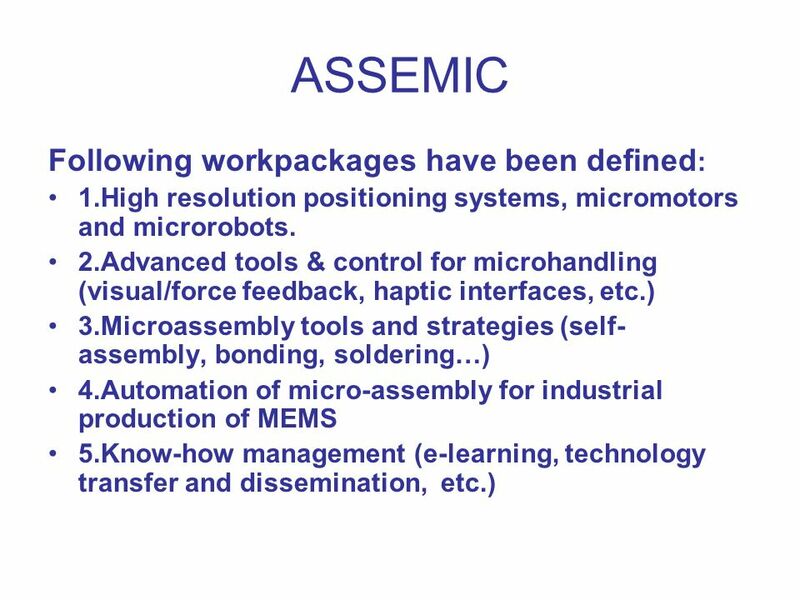 Optimized and cost efficient handling and assembly of hybrid Microsystems keeps being a challenge, as assembly and packaging constitutes still a great part of MEMS manufacturing costs. 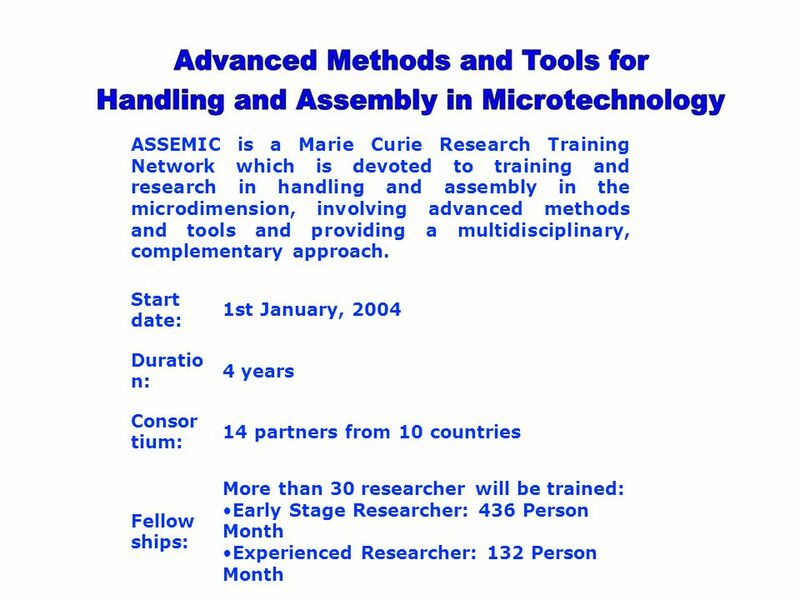 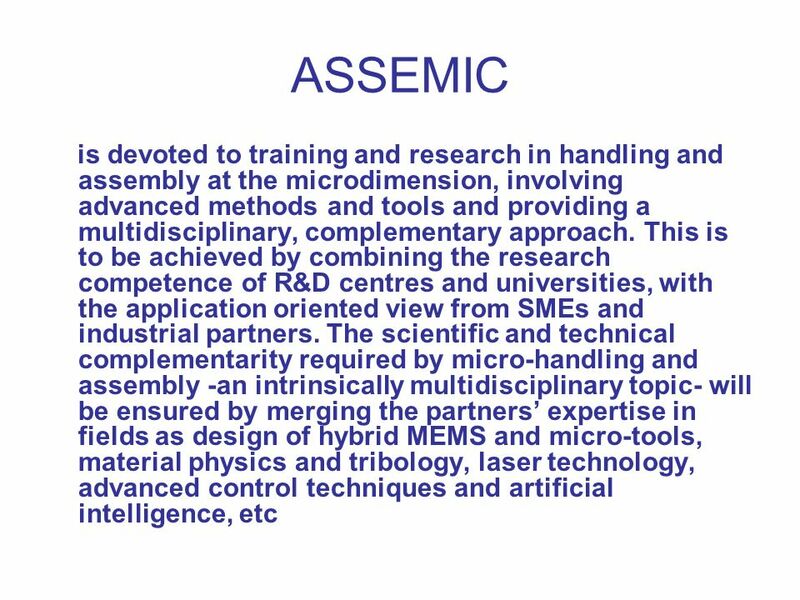 ASSEMIC will raise the European technological competence and merge the research effort in this field, by multidisciplinary training both early-stage and experienced researchers in highly qualified research centres and universities, developing research and providing the practical focus of SMEs and industrial partners. 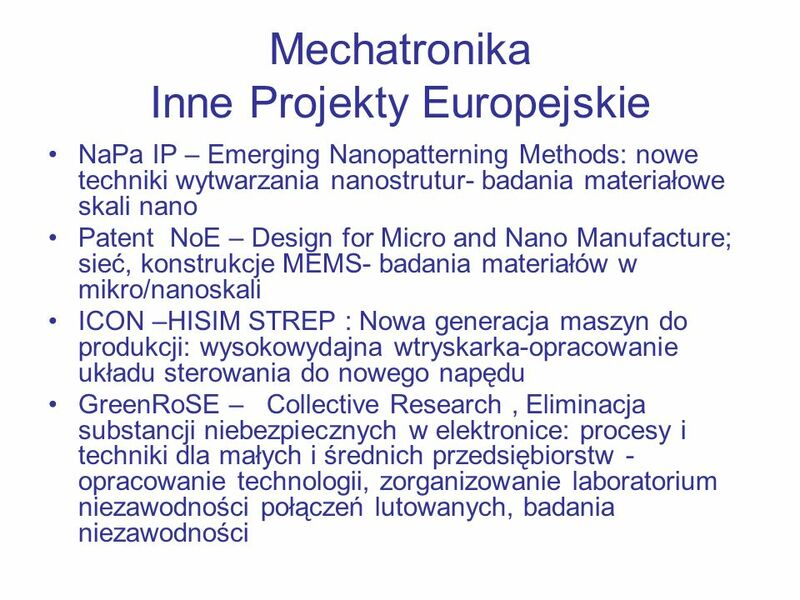 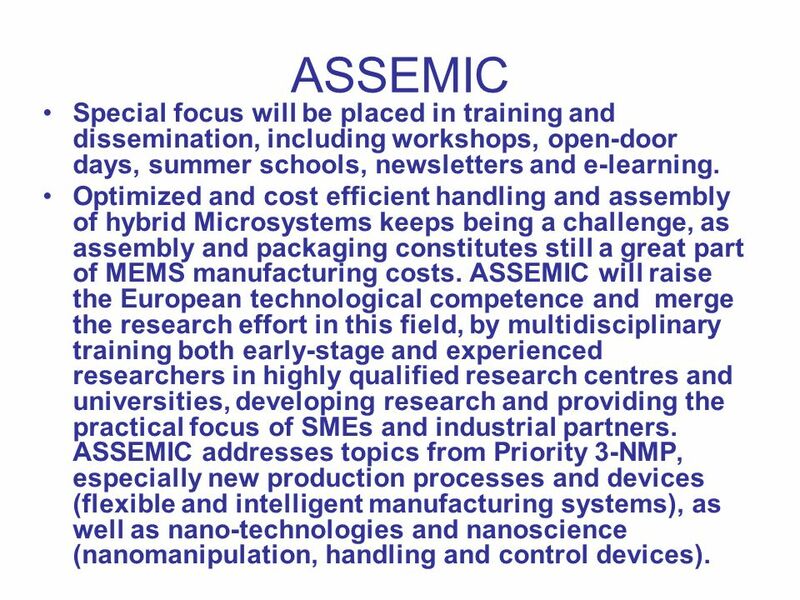 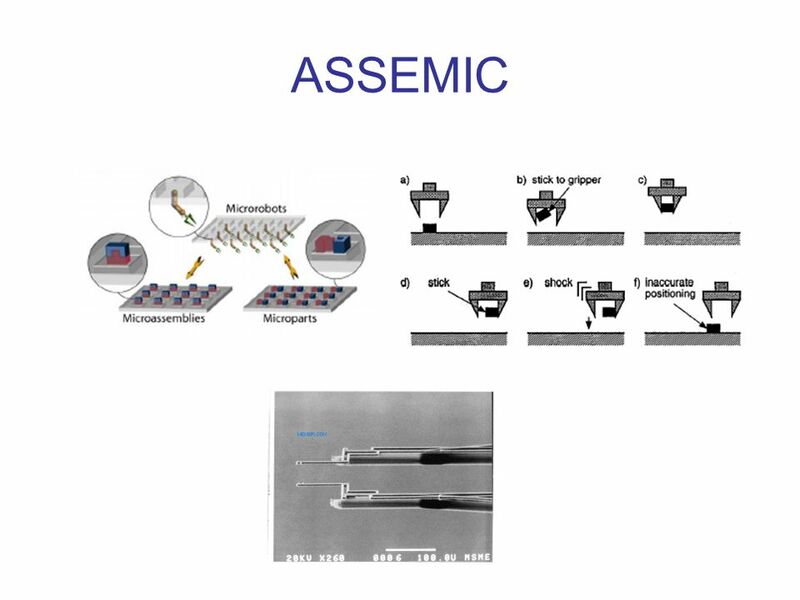 ASSEMIC addresses topics from Priority 3-NMP, especially new production processes and devices (flexible and intelligent manufacturing systems), as well as nano-technologies and nanoscience (nanomanipulation, handling and control devices). 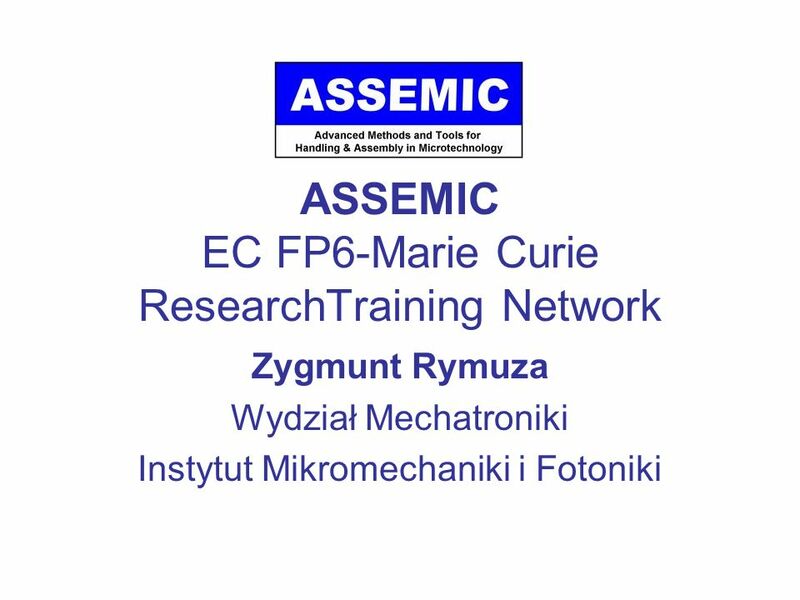 Pobierz ppt "ASSEMIC EC FP6-Marie Curie ResearchTraining Network"